A cording to my self this college a grate Place of learning in explaining of real education. It's different to itself than other it's sprictual beauty of education. College management is very cool over here.they always provide us flexibility up to a certain time so that we can feel relax. 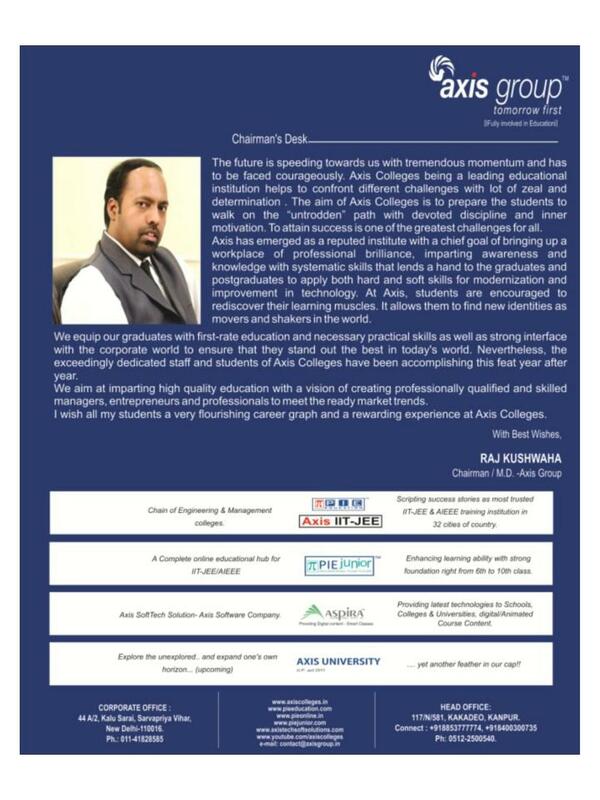 I would personally recommend any aspirant to join AXIS for better future. 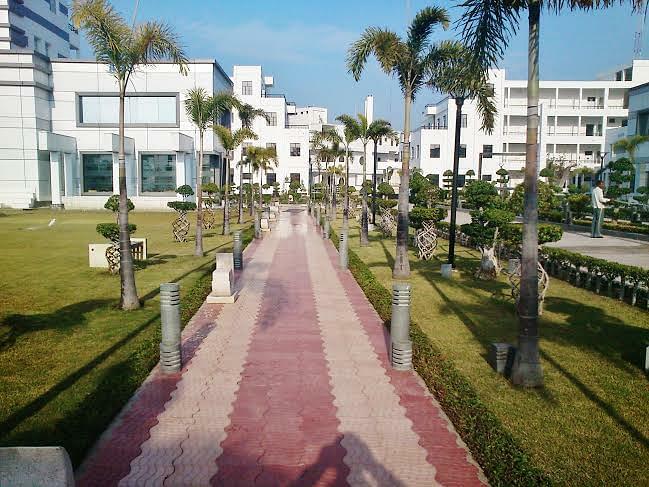 There is no bad remarks for my college. I study here and and I feel m at the right place for study management support the students rights. Distances was far from city, rather then everyting was awesome, our management, staff, everything was fine. 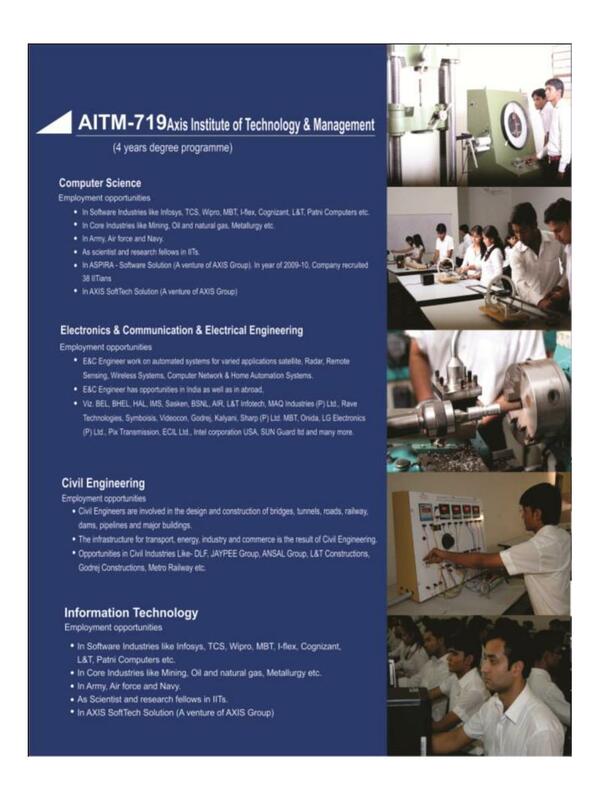 AXIS Institute of Technology and Management (AITM) - At Axis, becoming an Engineer is all about solving problems. It is a combination of technical skills, innovation, project management, communication capability, and creative thinking. Prospective students will find that Axis Institute of Technology and Management have a lot to offer both in the classroom and out, providing our students with the experience to create their own future. 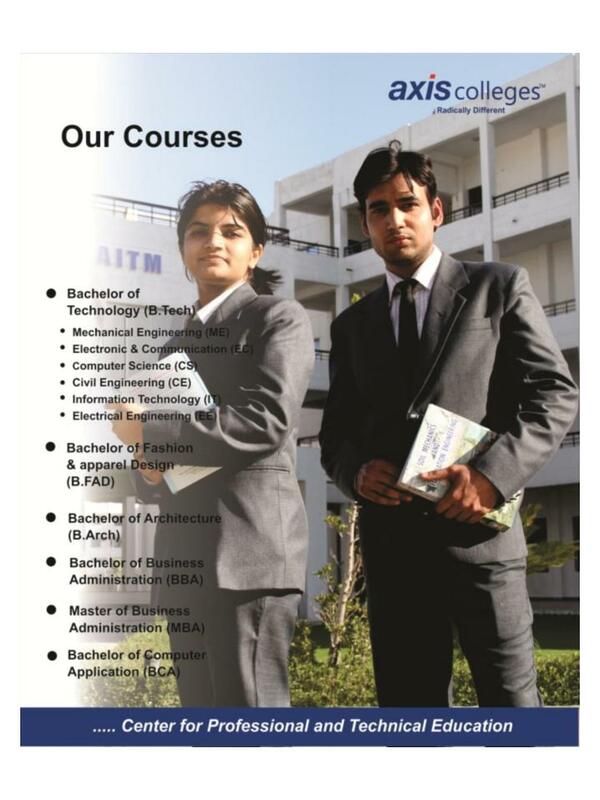 AITM is a top-ranked institution, offering interdisciplinary and global opportunities. 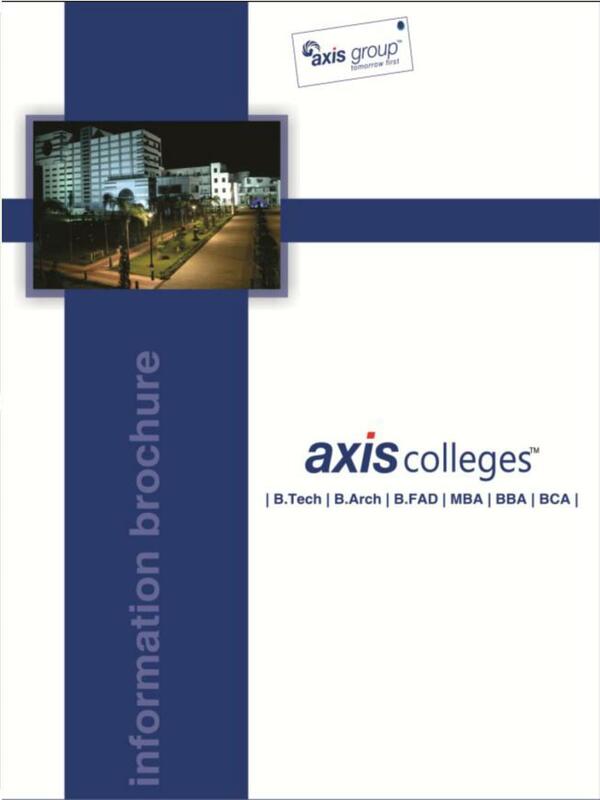 Axis Colleges maintains highest possible quality of the research and project works through dedicated supervision by its own teaching staff and practitioners from the respective industries. 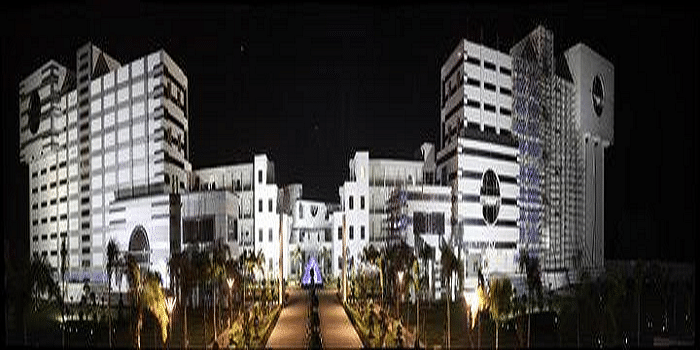 Established in 2010, AITM is a part of Axis Educational Society & the college is affiliated to Dr.A.P.J Abdul Kalam Technical University (Formerly UPTU), Lucknow. It is approved by All India Council for Technical Education (AICTE), New Delhi and recognized by Ministry of Human Resource & Development (MHRD), Govt. of India. The admissions in AITM are based upon the various entrance tests like JEE Mains and UPSEE. 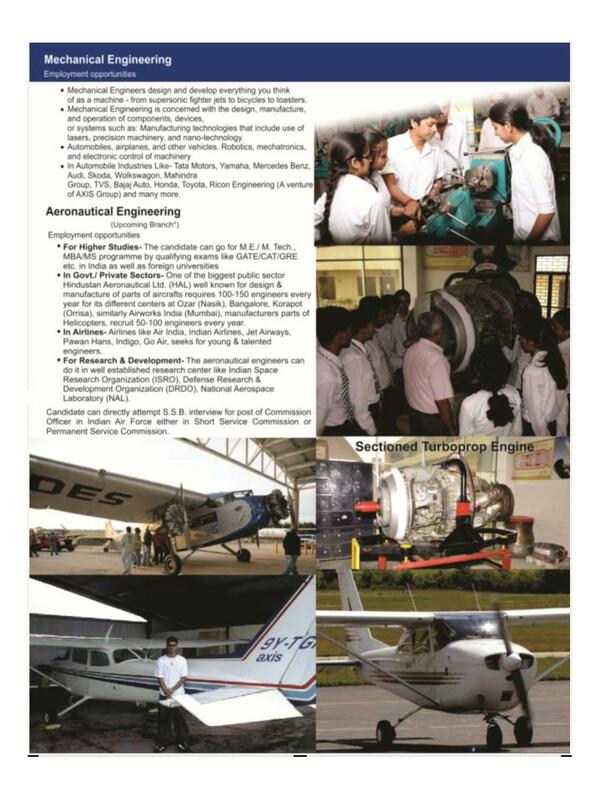 It offers Four years Bachelor of Technology program in 6 streams. The AITM provides state of the art facilities like Library, Laboratories, Hostel, Cafeteria, Medical, Bank and Transport etc. to the students. 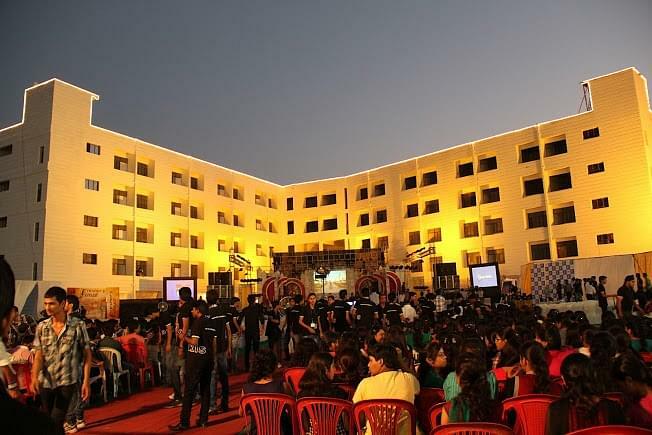 The various cultural activities and events are organized by the institute so that students can show their talents. It also organizes educational and industrial trips to upgrade and enhance technical knowledge and provide industrial exposure to them abreast of the latest development in technical area. "Excellent college and college faculty is also execellent"
I gave the exam of UPTU and got a rank of 24000. I received a call from this college and I went their. I loved the infrastructure of this college. The admission cell and the staff was pretty impressive. Their way of dealing with students was so good that I got myself registered that day only. I never went for counselling. EAMCET, My parents suggested me this ECE course because one of my uncle did the same course and he was earning handsome salary. Lollz Funny but truee..!